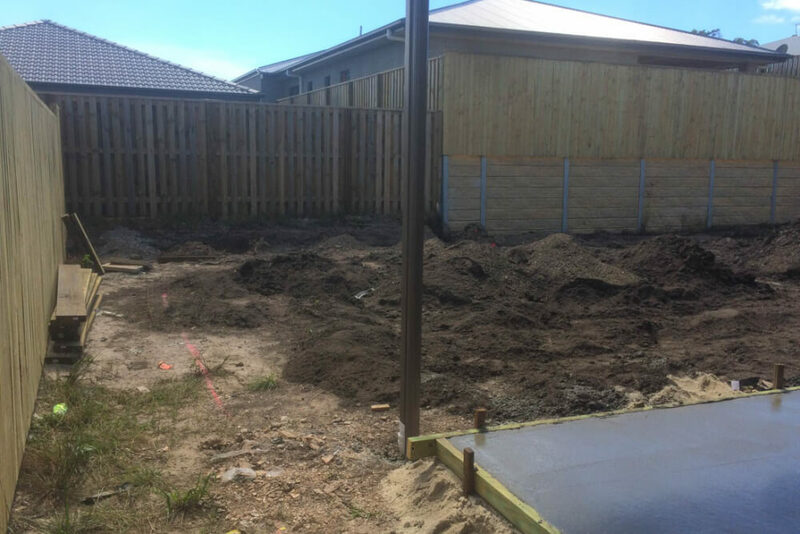 A newly constructed home meant a blank slate for this family to begin creating the perfect garden for this Pimpama landscaping project; low maintenance, child friendly and private. 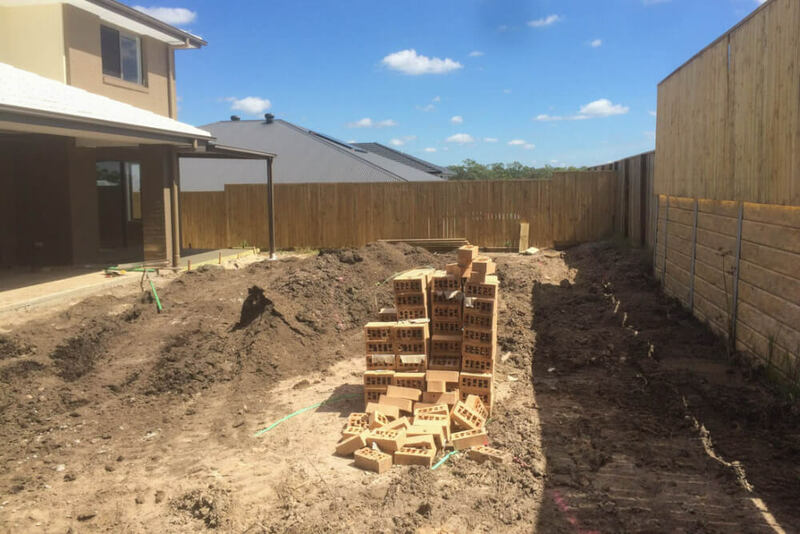 After constructing a home in a new estate, this family enlisted the help of Grotec to create a low maintenance garden for this Pimpama landscaping project. 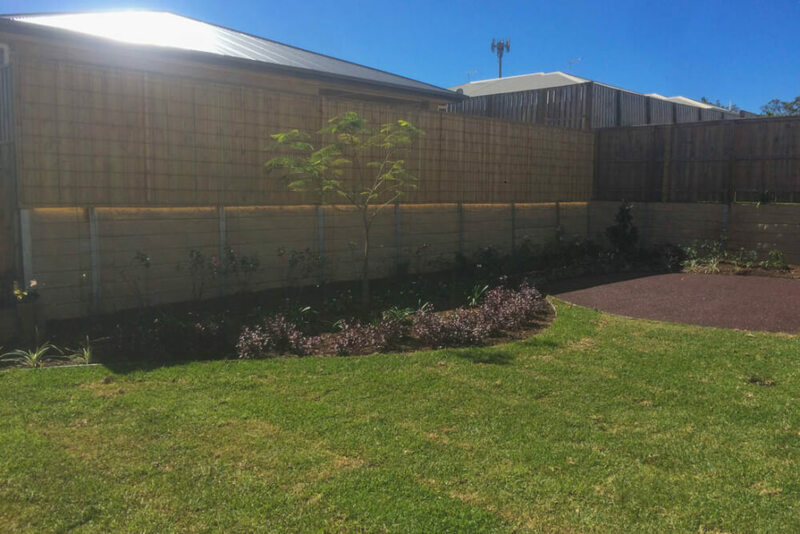 The design began with a colourful palette of fragrant and flowering shrubs to fill the gardens. 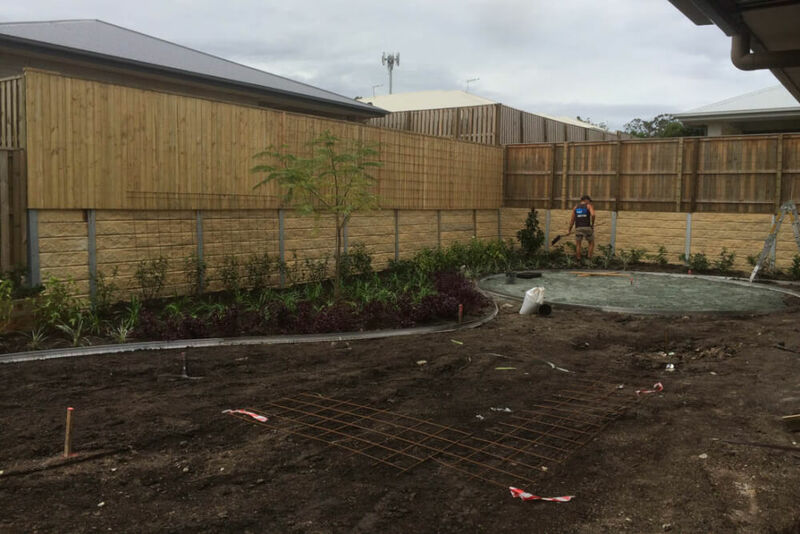 Trellises were installed to direction the evergreen climber ‘Pandorea’s’ growth and camouflage the 2.8 meter high fences, Murraya paniculata hedges have been planted to screen and soften the concrete retaining walls. The design included a circular soft fall area that will be used for the children’s playground on. 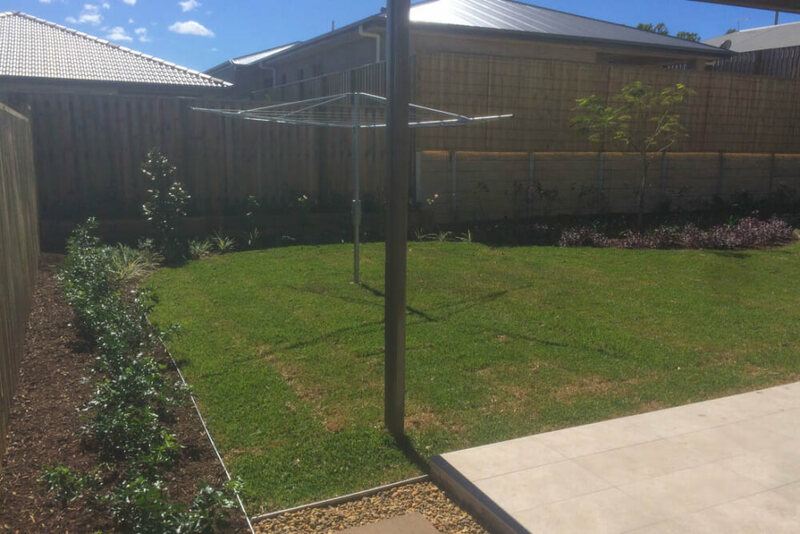 Additionally, our team installed two roofed and tiled patios adjoining the original alfresco to create a larger outdoor entertaining space. 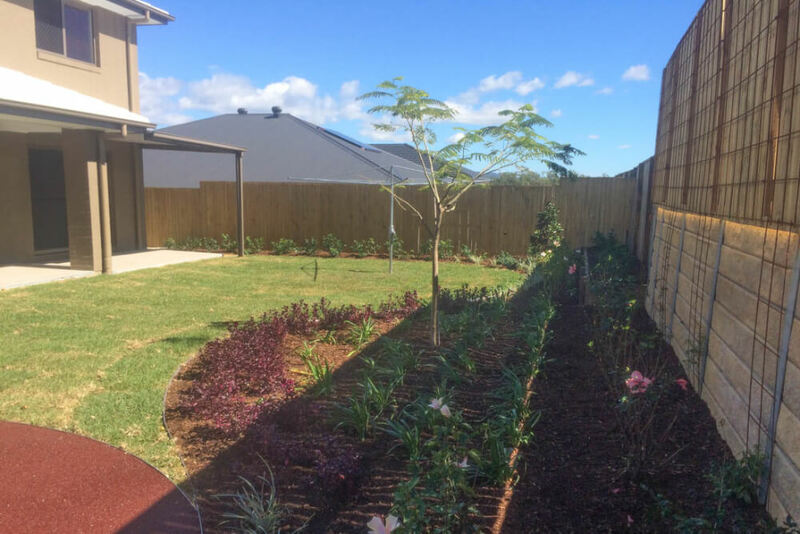 The entire planting scheme at the rear has been designed around the introduction of a Poinciana tree which will one day provide cooling shade from the hot north and western sun and develop into a glorious colourful feature in this spacious backyard.